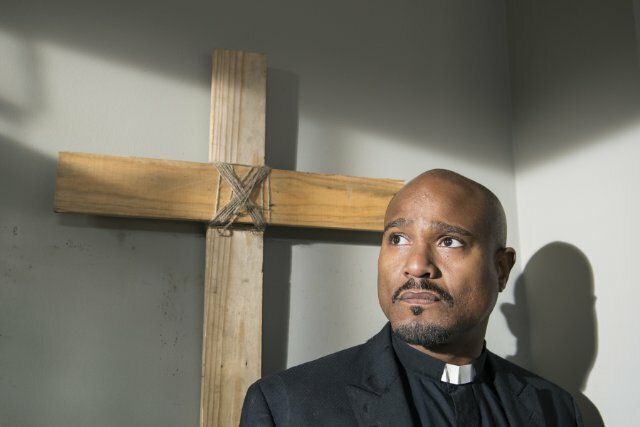 "A Hodge Podge Episode Doesn't Gel"
An episode like "Spend" highlights the one major negative on The Walking Dead: there are far too many cast members to allow for each character to have a chance to really shine. I know it's a common refrain from people critiquing the series, but it's true. As soon as Noah was given his touching scene with Deanna's husband at the episode's outset, and Tara was given her fun scene with Noah right before the team headed off on their search for spare parts, I immediately knew nothing good was going to happen to them. Because while Tara and Noah have been developed a bit more than some others (like Gabriel or Sasha), neither one is a particularly complex or layered character. And that is something that The Walking Dead still needs to work on. When secondary or less developed characters suddenly get heartwarming scenes or get more screen time than our more established characters, it's still obvious that something bad is about to happen. Now, the only way to really prevent this from continuing to happen is to continue to cull characters from the show, which would, presumably lead to more instances where secondary characters are offed without much character development. But, the show is so sprawling as it currently is that I certainly wouldn't complain at seeing a few more characters bite the dust. The sprawling nature of the series was in full effect in "Spend" as well, with the story taking us all over Alexandria without much of a trough line to follow. It was incredibly jarring to spend time in the warehouse with Glenn and company, only to be tossed back into the walls of Alexandria to see Carol failing to get rid of the show's second most annoying child (congratulations Carl, you now have competition in the annoying kid department). The tonal shifts weren't handled particularly well and served to undercut the tension of the warehouse scenes (because even though it was clear some awful was about to befall Tara and Noah, there was still the question as to when it would happen). While the story threads themselves were clear (it was easy to follow where Carol's storyline was headed, despite the jarring scene shifts), the episode's structure left me far more frustrated with the show than excited to see what would come of all that occurred. In addition to the fragmented storylines, there were also some strangely unnecessary character beats that took up precious time. 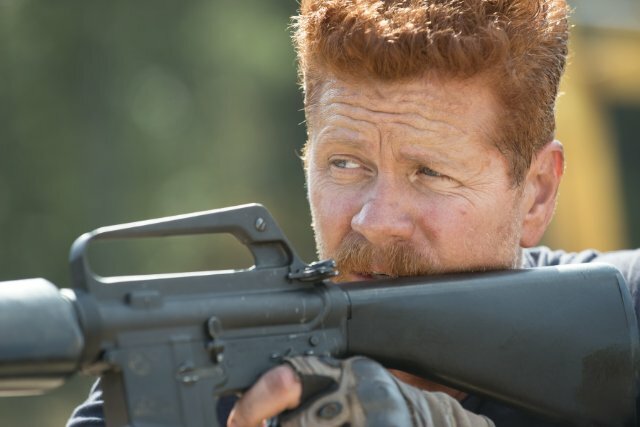 Abraham's time on the scavenger team didn't show us anything we didn't already know about good old Abe. I suppose he's in a better mental space than he's been in the past, but he's always been a leader and always will be. It was only a matter of time before he reemerged as the focused leader he once was. The main takeaway from that particular storyline was that the Alexandria people really are a complete mess. I'm amazed that so many of them have managed to survive as long as they have considering they have made so many ridiculous errors just in the last few weeks that we have been with them. Along those same lines, it looks like Pete is just as awful as I predicted last week. Although, considering we've seen him drinking in the dark on the porch, acting like a jerk with Jessie at the party, and the small fact that he's married to the lady Rick has a crush on, it's hardly a shock to find out that he's an abusive jerk. 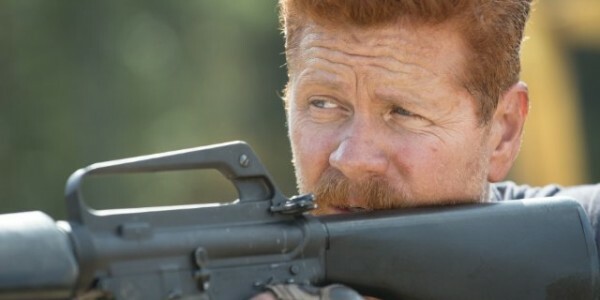 I wish the show had opted to make Pete a really good quality guy, as making him a bad guy all but gives Rick free range to do with him what he will (but I just can't see Rick following through on Carol's order to kill Pete). Is there any way that Alexandria doesn't fall into some sort of internal crisis before the external crisis of the wolves finds them (because you and I both know that the threat of the wolves is the gun on the wall that is likely to go off just in time for the season finale in two weeks)? There appear to be plenty of internal problems in Alexandria that need to be addressed. I will say, however, that Deanna certainly seems to be ready and willing to tackle anything that comes her way. And that gives me hope that perhaps Pete won't meet an untimely end at the hands of Rick or Carol. 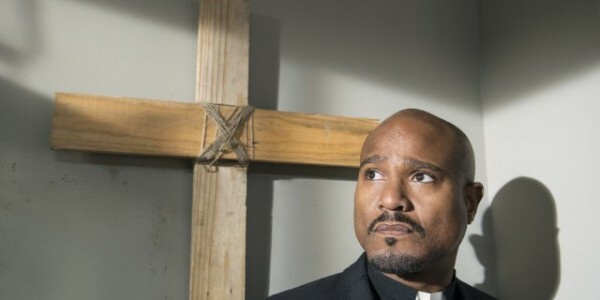 The episode's final storyline was perhaps its most confusing, with Father Gabriel appearing to finally lose touch with reality in some pseudo-religious realization that the Grimes Gang has done some awful things to survive. While Carol and Abraham's actions were certainly not out of the ordinary for who their characters are, Gabriel's made little to no sense. Mere weeks ago, the man appeared to have come to terms with what this new world is. Apparently, he hasn't, because wow, what a stupid and unhinged decision he made. He has to realize that his actions not only put the group in danger, but also put him in danger. He comes off looking like someone who has lost his grip on reality, which, in this landscape, is not the best decision. As much as I adore Seth Gilliam as an actor (his work on The Wire is amazing), Gabriel is an absolute mess of a character. We know far too little about his character to really care about him or his actions, and the show seems to not care enough to tell us more. Final Thoughts -- This is, by necessity and design, a really violent show. But man, was it just me, or was this episode particularly rough. The deaths of Aiden and Noah were two of the more visceral in recent memory. -- One assumes that Glenn and Nicholas will have very different takes on what happened on their supply run. And, considering Deanna lost her son in the run, her reaction will be the most telling aspect of the next episode. -- It may be irrational, but I worry about Daryl out on the road with Aaron. Especially in light of the wolves prowling. -- The worst part about losing Noah is losing the work of Tyler James Williams, who has really done a lot with what he was given.